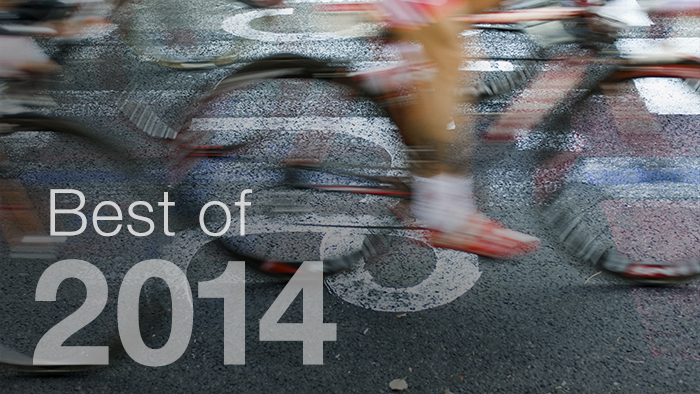 If you happened to miss one of our top articles of 2014, here is your chance to catch up. We’ve compiled our ten most popular articles from the past year so you can learn more about training and racing and reach your 2015 goals. Coach Jim Vance lays out 10 things you may be doing that are hurting your training. From Dr. Inigo San Milan, this article points out the many benefits of training in zone 2. These three workouts from Coach Jim Rutberg will help you build fitness on the bike in less than one hour. We worked with Tinkoff-Saxo and rider Manuele Boaro to get an inside look into how they manage a long season. Coach Rick Kattouf outlines his answer to the common question of why endurance athletes can’t shed weight when training. Coach O’brien Forbes lays out a simple plan along with workouts to help you become smoother and stronger on the bike. You may love to workout to music, but there are times when you should unplug. Read the top seven reasons from Dan Cuson. Improving your Functional Threshold Power is a must for cycling success. Nate Wilson shares his favorite three workouts you can do to raise your FTP and get stronger. Hunter Allen looks into 5 aspects that set winning athletes apart. Read this article and use them to achieve your goals. If you have both power and heart rate, this article from Mike Schultz helps you use them in conjunction to get the most detailed information.